Preheat oven to 375F. Grease a large baking sheet. Place the cauliflower florets on the baking sheet. Spray with olive oil. Season with garlic powder, salt, and pepper. Roast at 375F for 15-20 minutes, until desired done-ness. Remove from oven. 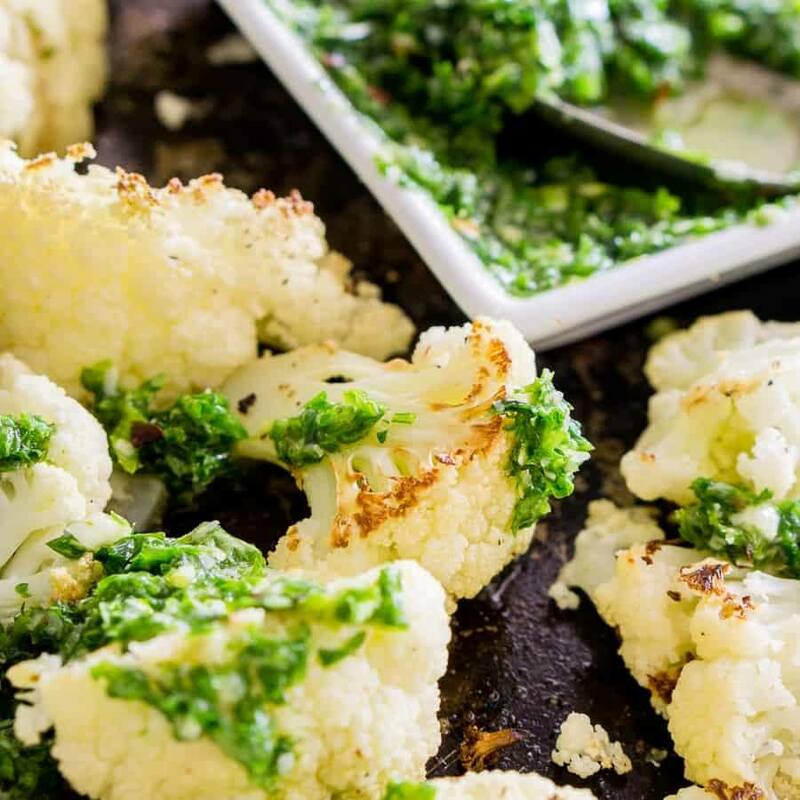 Prepare the parsley pesto while the cauliflower is roasting: Remove the large stems from the parsley and discard. Roughly chop the parsley leaves - you should have about 1 rounded cup. Finely mince/grate the garlic clove. Zest and juice the lemon. Grate the Parmesan cheese (or use grated cheese). In a small food processor, add the pesto ingredients (chopped parsley through olive oil). Pulse a few seconds at a time. Season with salt. If the pesto is too thick, add a tablespoon of olive oil or water at a time until you reach the desired consistency.